With all the Spring holidays approaching, we focus on just the Celiac part of things, without thoughts to foods that may be Kosher for those celebrating Passover. 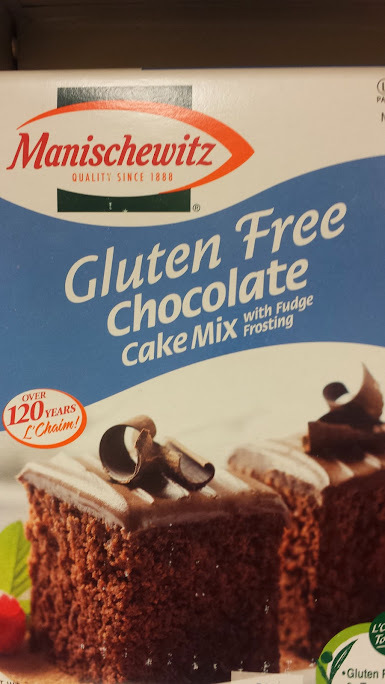 While on a recent trip to Kroger, we found a large variety of Kosher gluten free products from Manischewitz. From gluten free cake mixes to gluten free crackers, you can find a variety of products to help you stay gluten free in your religious celebrations. You can find more products at http://www.manischewitz.com/healthcorner.html.